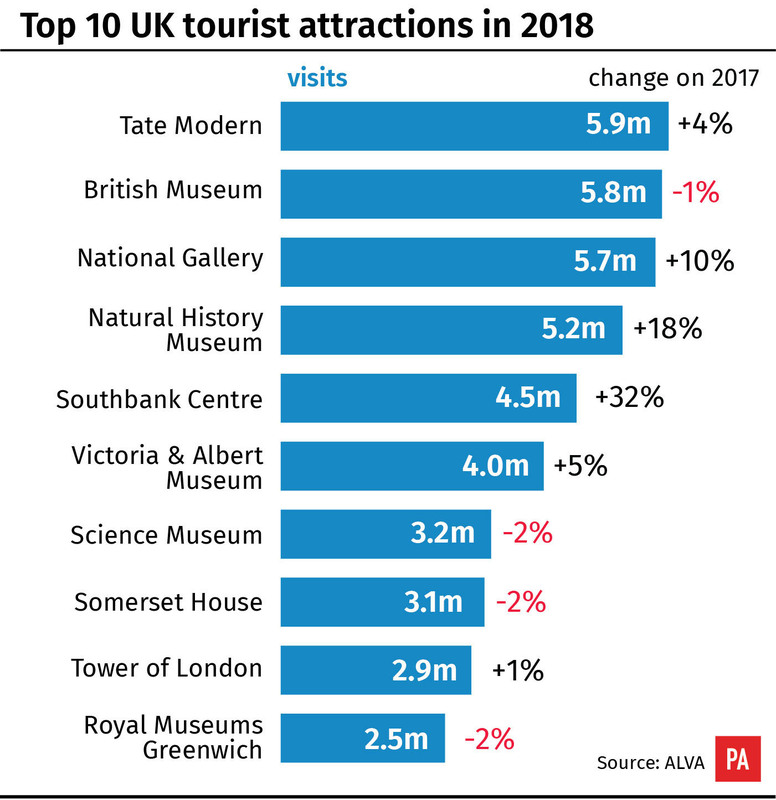 Several gardens, zoos and stately homes with parkland saw a drop in demand as the UK was hit by both freezing and sweltering temperatures in 2018, the Association of Leading Visitor Attractions (Alva) said. The country’s second most popular garden, RHS Garden Wisley in Surrey saw its visitor numbers drop by more than 70,000. Other outdoor attractions to experience a decline included the Eden Project, Cornwall; ZSL Whipsnade Zoo, Bedfordshire; Blenheim Palace, Oxfordshire; and Chatsworth House, Derbyshire. The UK saw widespread snow between January and March – partly due to the so-called Beast from the East – with temperatures plunging to minus 14C (6.8F). This was followed by a heatwave, which led to the joint-hottest summer on record, with much of the country experiencing dry, sweltering conditions. Alva director Bernard Donoghue told the Press Association: “The Beast from the East really affected a number of outdoor sites – gardens and zoos in particular. “Then, during the summer, some members of the public found it too hot to be outside. “I wish tourism was slightly more sophisticated, but weather has always been a determining factor on where people go. Alva’s 249 members reported an average rise in demand of 8.7% compared with the previous year, with 139 million visits recorded. London’s British Museum lost its title as the UK’s most popular attraction for the first time in more than a decade. It was leapfrogged by the city’s Tate Modern, which welcomed 5.9 million visitors, up 3.7% on the previous year. The increase was driven by an extension to the art gallery and exhibitions featuring the work of Pablo Picasso and Amedeo Modigliani. 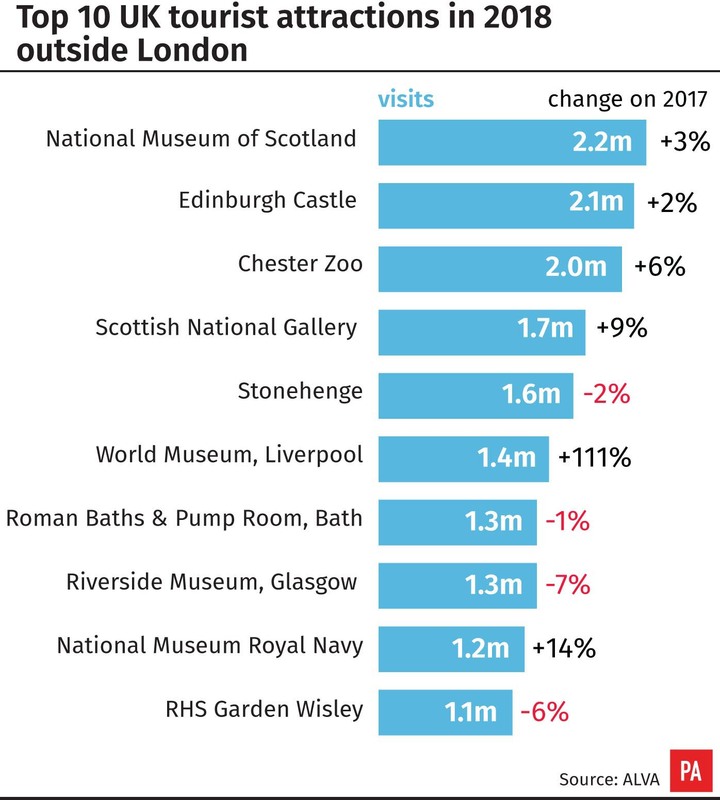 The UK’s most popular attractions outside London were in Scotland, with the National Museum of Scotland taking 11th place with 2.2 million visits, followed by Edinburgh Castle with 2.1 million. Chester Zoo was the most visited site in England outside London, with 2.0 million visits.